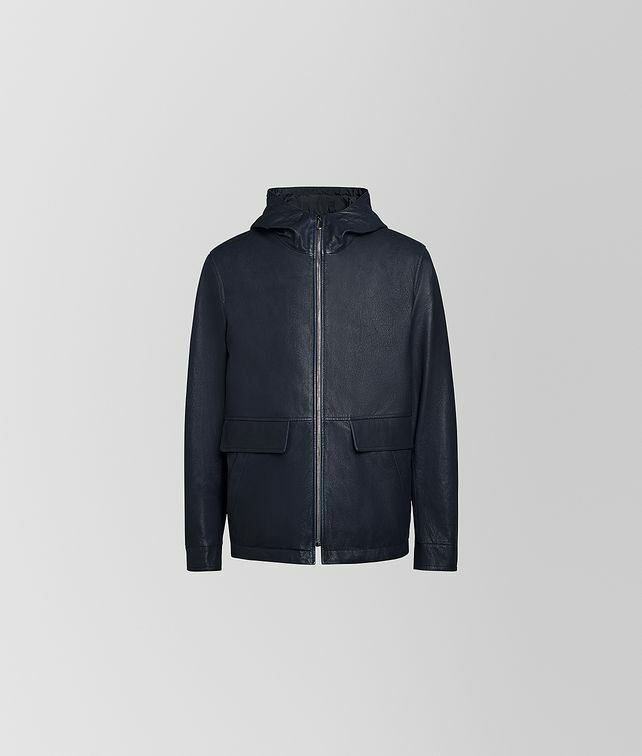 A modern sportswear staple, this luxe jacket is precisely cut and crafted from lambskin with a vintage finish. The hooded piece features hand-woven intrecciato details at the shoulders and cleverly reverses to a weather-resistant nylon. Finished with multiple pockets and the signature brunito hardware.